Celebrate the arrival of Spring! The 18th Annual Home Garden Flower Show with hundreds of indoor exhibitors spread throughout 7 buildings make this a great rain or shine event! It’s all about FOOD, FLOWERS, FURNITURE, and FUN for the entire family. 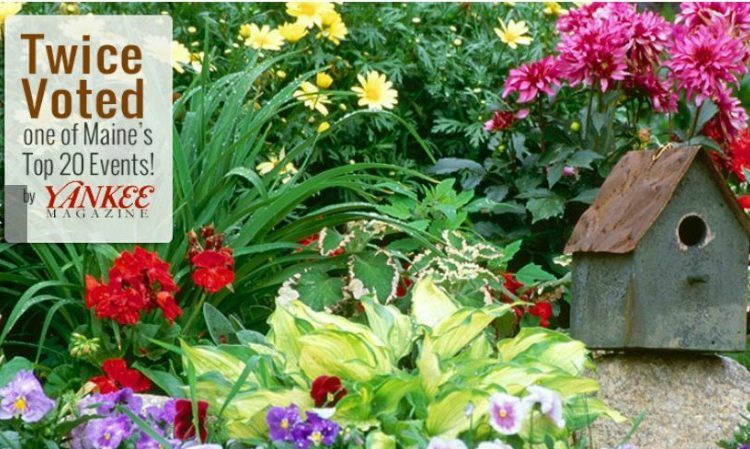 The show welcomes back Lakes Region Garden Center, and also introduces OMG—Oh My Garden, a consortium of independent garden hobbyists of sorts who will be selling a full array of annuals, perennials and shrubs from Young’s Greenhouse in South Paris, Maine. And of course, along with flowers there will be veggies and produce from local farms, most organic. These include: Patch Farm, from Denmark, Maine; Goshen Corner Farm, Center Conway; Ken’s Grow Houses; and Fly Away Farm, Stowe, Maine. Plants, both ornamental and consumable, need excellent soil and nutrients, and Fish Head Farm and Benson Soil will have all the raw materials for a garden to produce bountifully. These you won’t find or grow in your garden but Jordan Jungle will be offering Tillandsia (air plants) cactus, succulents, and anything unique and unusual.